TSP Legal > News > General News > ‘Tis the Season to be Jolly… Careful! ‘Tis the Season to be Jolly… Careful! Fiona Ashworth, Thompson Smith and Puxon Wills & Estates Team Leader, discusses gifting. 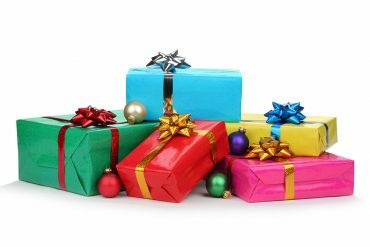 With Christmas fast approaching I am sure many of you are thinking about making Christmas gifts, but may not fully understand whether there are any tax consequences relating to this. To assist you in understanding the current tax rules relating to gifting I have set out a simple guide for you below. In my professional life I often get told ‘well it is my money, I can do with it what I like’. In many cases whilst you are still alive this is absolutely true, but, with certain exceptions, gifts made in the seven years prior to your death have to be taken into account when you die, as they form part of your probate papers. Gifts that do not have to be taken into account include the £3,000 annual exemption that each adult person can make in each tax year. If you don’t give away £3,000 in one year, you may carry that year’s allowance forward to the following tax year and use it in addition to your allowance for that year, e.g. £6,000 in that year. But you can only combine two years of this gift allowance; you cannot save up several years’ worth of allowances and use them all at once! You can also make small gifts of up to £250 each, to as many people as you like, in any one tax year. However, you cannot give a larger sum and claim exemption for the first £250 and you cannot use this allowance together with any other exemptions when giving to the same person. For example, an individual with 10 grandchildren could give each of them £250 annually and the gifts would not be taken into account in calculating the value of their estate when they die. Wedding gifts are also exempt. Each parent can give £5,000 to each child. A grandparent can give each grandchild £2,500, and anybody else can give the newlyweds £1,000. If you make an outright gift to an individual in excess of the £3,000 and then pass away within seven years, the gifted amount may be added back into your estate and considered for inheritance tax (IHT) purposes. IHT is only payable if your estate is worth more than £325,000 when you die. If no inheritance tax is due on the estate, then no tax would be payable on the gift. A lot of people do not realise that regular gifts made as part of your normal expenditure can also be exempt from IHT. So, if you wanted to be even more generous, you could consider gifting on a regular basis from your income, provided your income comfortably supports such gifts. Be aware though, regular gifts from expenditure would be closely scrutinised on death by HMRC, so it is important that you maintain records of your income and expenditure accounting for any regular gifts made. The Thompson Smith and Puxon Wills and Estates team can advise on Wills, LPAs, Lifetime Planning and the Administration of Estates (Probate). Fiona Ashworth can be contacted on 01206 574431 or by email at fiona.ashworth@tsplegal.com.